Super chic and rarely available Penthouse in the famed Bing Bing Eastgate! Located on a tranquil tree-lined block beautifully lit with white lights during the winter season, this one-of-a-kind PH is not to be missed. Nearly 1000sqft of wrap around landscaped terrace space with various areas for dining and entertaining. With views south, east and west and terrace accessibility from the living room, kitchen and master bedroom, this layout perfects indoor/outdoor living. The PH features a split bedroom layout, a southwest corner living room with a wood-burning fireplace, an eat-in kitchen with all modern appliances and a windowed home office that is currently being used as a nursery. The second bedroom has two west facing windows, an en-suite bath and a walk-in-closet. The southeast corner master bedroom has the second wood burning fireplace along with an enormous fitted walk-in-closet/dressing area which leads to a beautifully renovated windowed marble master bathroom with a double vanity and a large shower. High ceilings, rich moldings throughout, hardwood floors and original hardware are just some of the lovely prewar details. 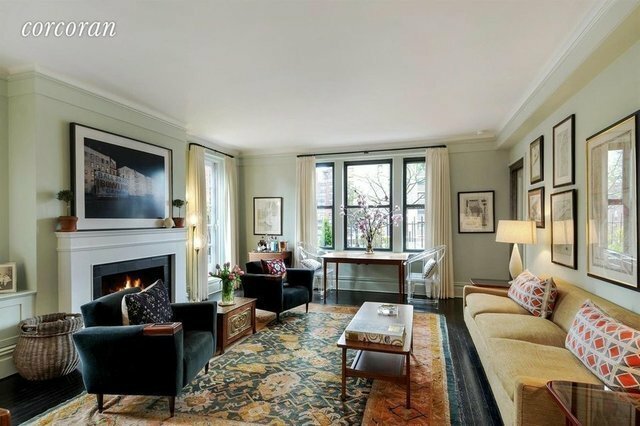 Convenient to the new Second Avenue Q Train and all the Upper Eastside has to offer. Built in the early 1930s, 220 East 73rd is a full service cooperative with a gym, storage, bike storage, a common garden for residents and a central laundry room. Washer/Dryers are allowed as are pieds-a-terre and pets.